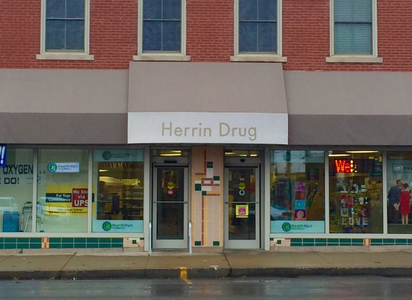 Welcome to Herrin Drug. For over 30 years, we have been the beacon of pharmacy care. We were one of the first pharmacies to become accredited in the region and have always been locally owned and operated. We have demonstrated a superior level of care and trust for our patients. We offer free delivery, have an extensive selection of durable medical equipment and are a Hallmark Gold Crown store. Stop by today to see how we can impress you.